In the true tradition of Renoir, Strawberries, from 1905, creates a dreamlike display out of a decadent still life. 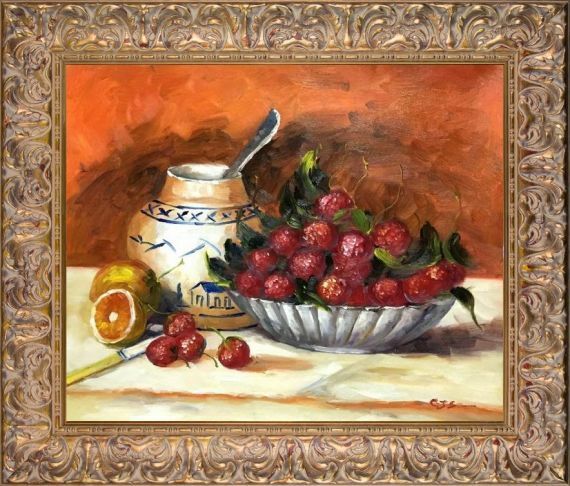 In this strawberry painting, Renoir uses bright and warm colors to bring his subject to life. 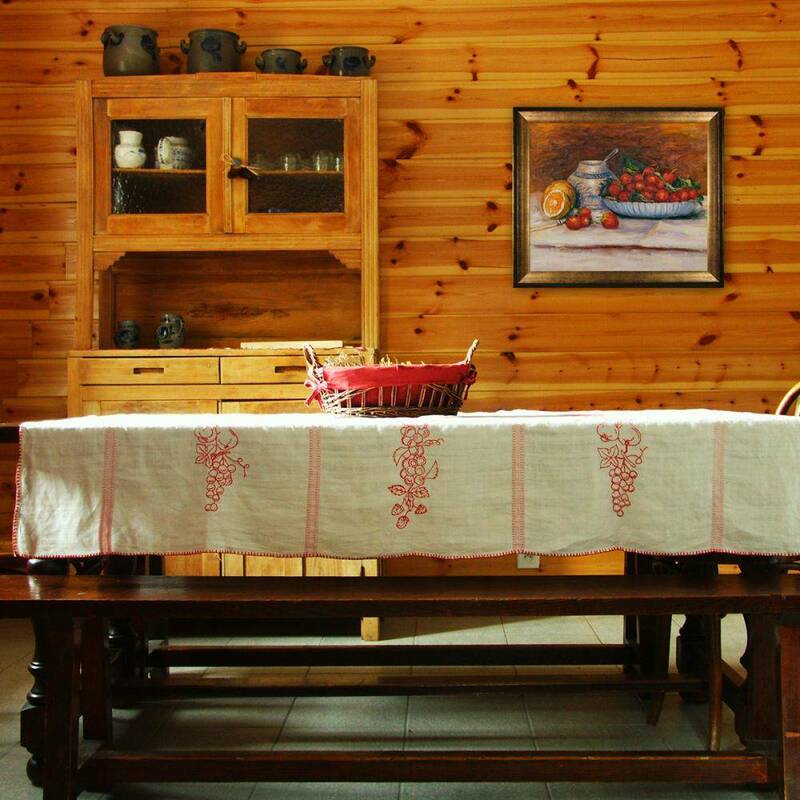 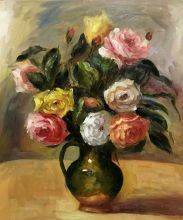 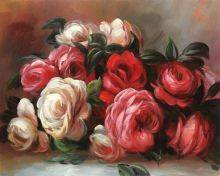 Our oil painting reproductions are 100 percent hand-painted on artist-grade canvas with extreme attention to detail. 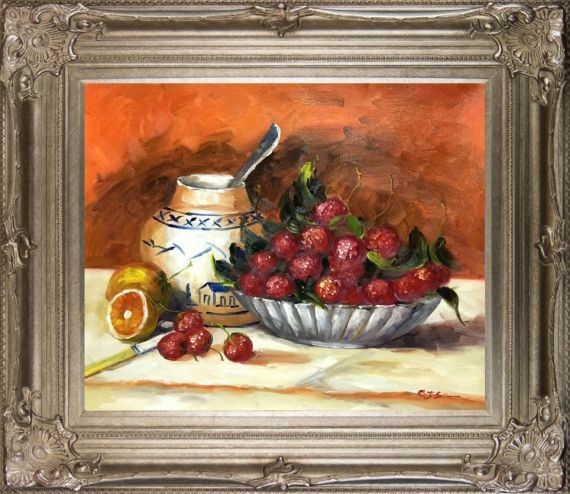 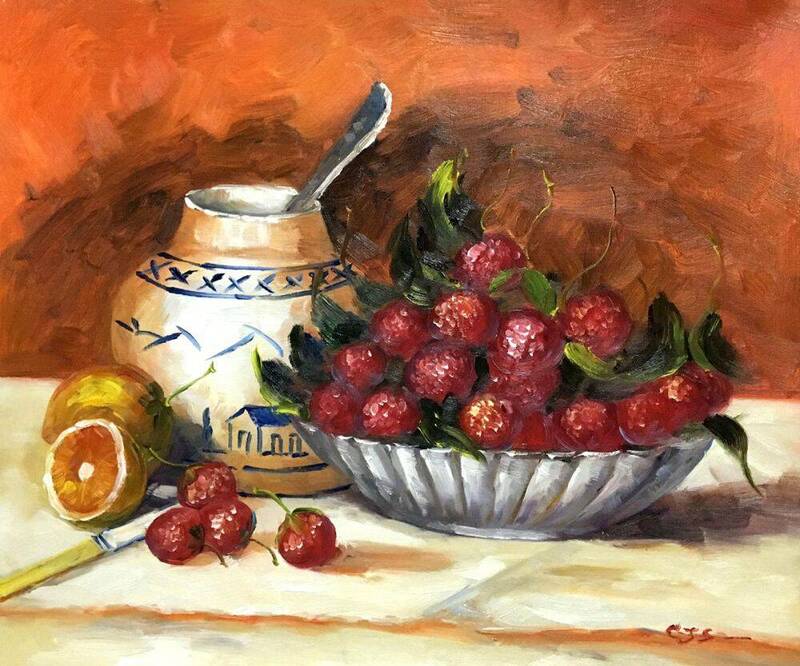 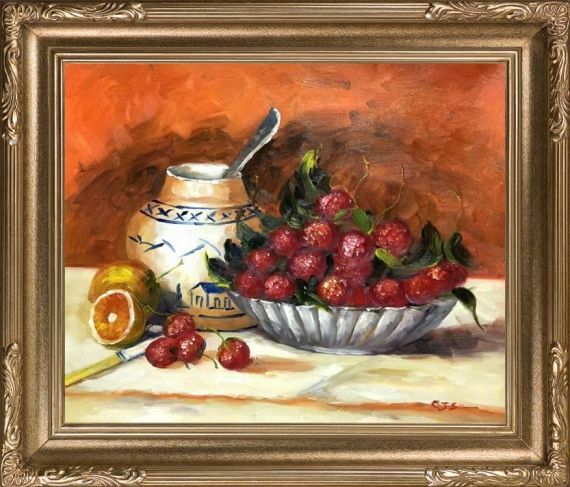 This oil painting of strawberries will complement any kitchen or dining room and is made especially for the Renoir fan in your life. 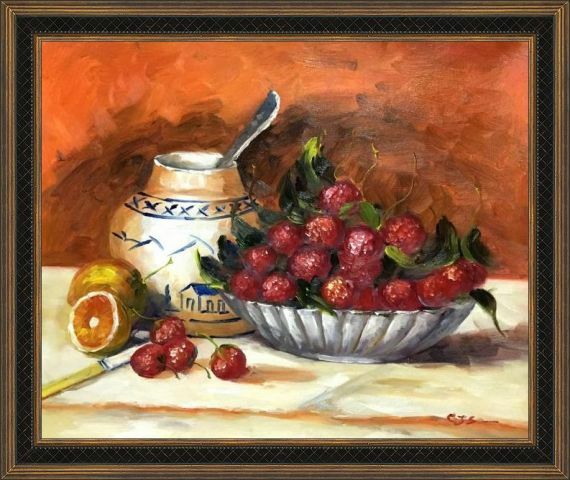 This painting comes with hardware and a certificate of authenticity.